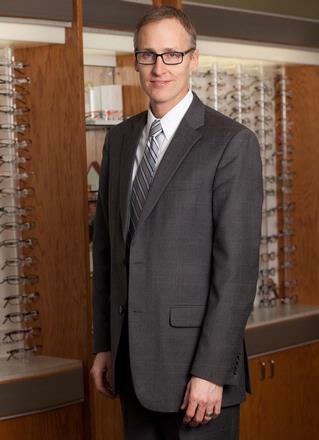 Dr. Kyle E. Williams specializes in Cataract Surgery and treats medical and surgical eye disease in adults and children. He is Board Certified as a diplomate of the American Board of Ophthalmology. In addition to caring for his patients at both Rochester Eye Associates office locations, Dr. Williams instructs ophthalmology residents and performs screening exams for premature infants at the major hospitals in Rochester. An active participant in research, he has given presentations at national meetings and authored publications in the journal of Ophthalmology. Originally from the Southwest, Dr. Williams is a graduate of the University of New Mexico School of Medicine. He trained as an intern in Internal Medicine at the University of New Mexico and then as a surgical resident at the Mason Eye Institute at the University of Missouri. Rochester is now home for Dr. Williams and his family. He is a member of the American Academy of Ophthalmology, the American Society for Cataract and Refractive Surgery, the New York State Ophthalmological Society, and the Monroe County Medical Society. Dr. Williams is fluent in Spanish and sees patients of all ages. He is a comprehensive ophthalmologist with interest in all aspects of medical and surgical ophthalmology.